We are a Rights and Respecting School! Article 2-All children have these rights, no matter who they are. 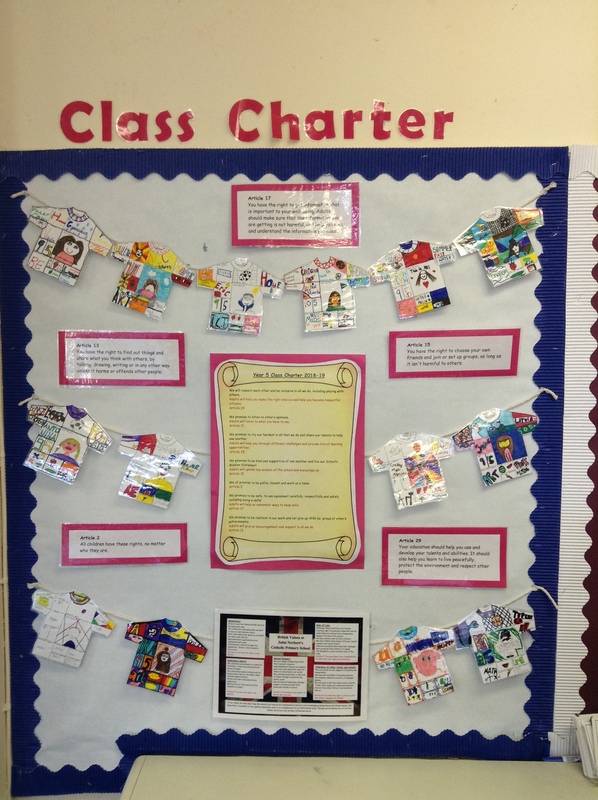 We are a Rights Respecting School and have embedded the ethos that everyone has a right, but also a responsibility too. We believe that the United Nations Convention of Rights of the Child (UNCRC) are paramount and underpin all that we do, fostering children and adults understanding of their value and worth. 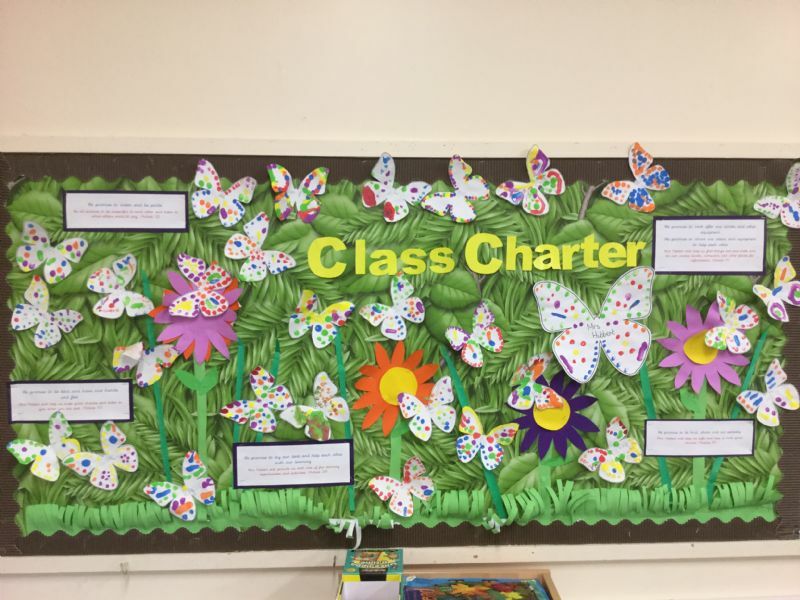 Every class has a charter, which is a set of promises which have been agreed by the adults and children within each class, which provides ownership of the charters to the children as they see the mutual respect displayed clearly in each classroom. 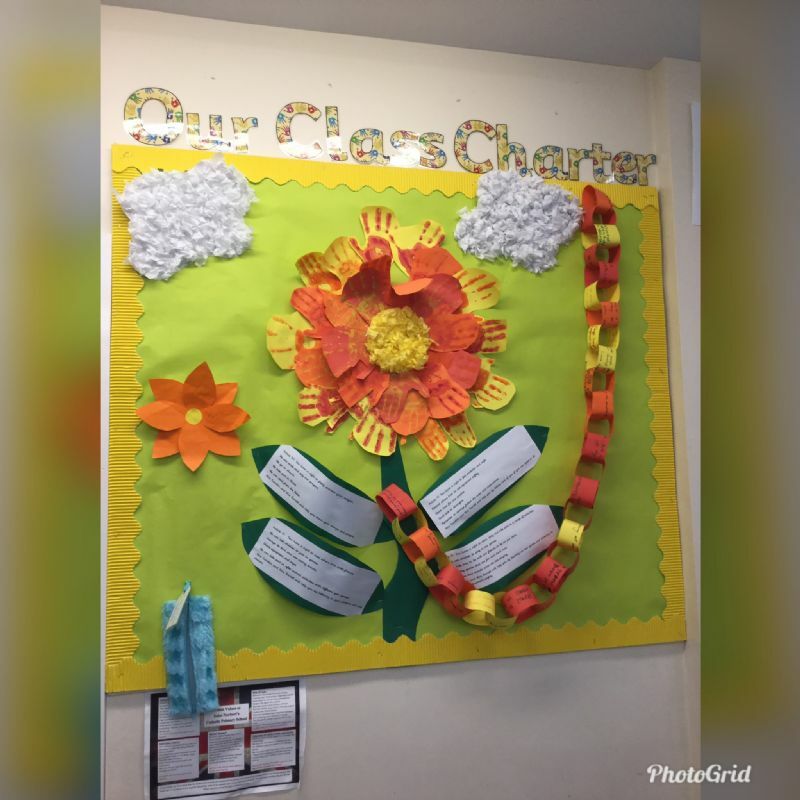 The charters are linked to the different articles in the UNCRC chosen by the children, and support the philosophy of Rights and Respects, and have been recognised as a significant contributor to effective learning. Some examples of our charters. Article 29-Your education should help you use and develop your talents and abilities. It should also help you learn to live peacefully, protect the environment and respect other people. Throughout the year, Saint Norbert’s takes part in many events and fundraising opportunities to support our local, national, and global communities. 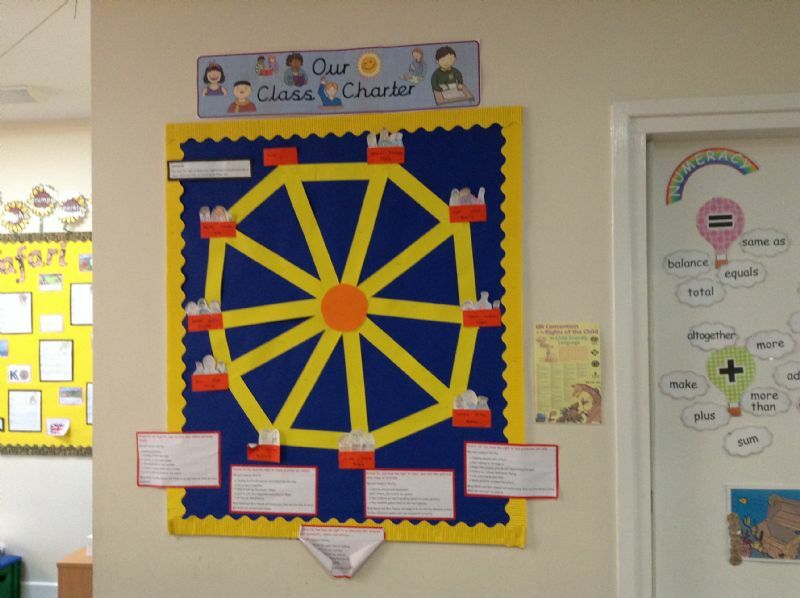 All our events in school are linked to the rights of the child and specific articles. Recently the children hosted a P4C ‘Research Café’ event to broaden understanding of articles for parents, who continue to show their commitment towards their children learning about their rights. RRSA helps to build our school development by underpinning our targets and rationales for our aims and actions. 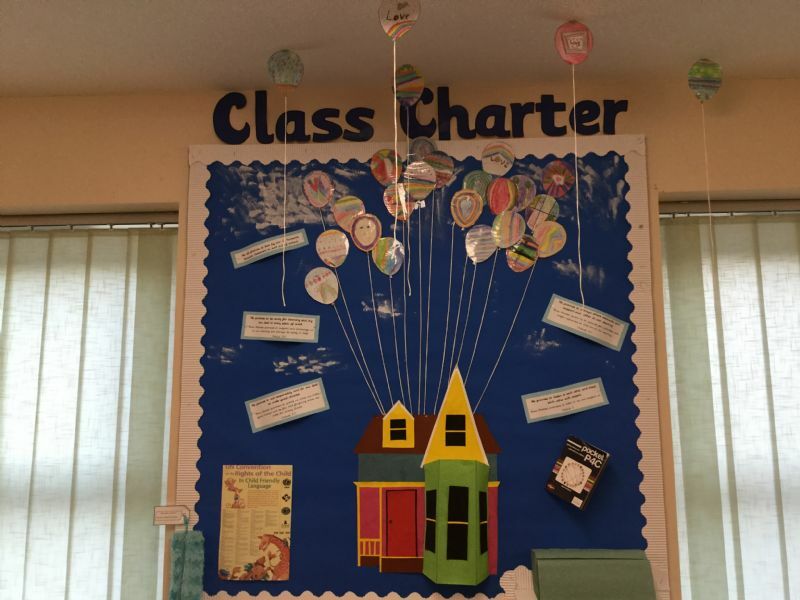 All our policies, school development plans, subject action plans, whole school plans and enrichment days include references to the rights of the child, demonstrating that these UNCRC values support all we do as staff, pupils and as a whole-school community. At Advent and Lent our fundraising goes to CAFOD for our global neighbours and we proudly take part in local, national, and diocesan schemes and initiatives to further construct our rights respecting school values. This includes: Christmas Jumper Day, Fairtrade fortnight, Mary’s Meals, Samaritan’s Purse Shoebox appeal, NSPCC Number Day, Water Aid, Democracy Day, Staying Safe – Crime Prevention Walk, Internet Safety Day, Anti-Bullying week, European Day of Languages, and many more. You can see some photos in our ‘special Events’ tab. As part of our ongoing practice we underpin and link all we do to the UNCRC articles of children’s rights. 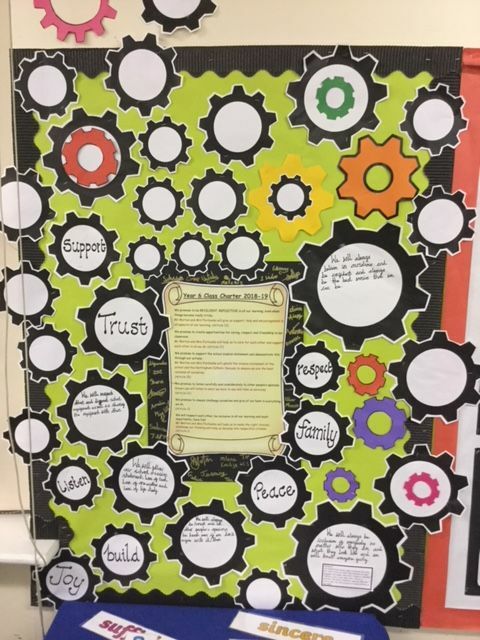 As a school, our School Development Plan, Action Plans, policies and Whole School Theme Plans all demonstrate their link to articles from the Convention. 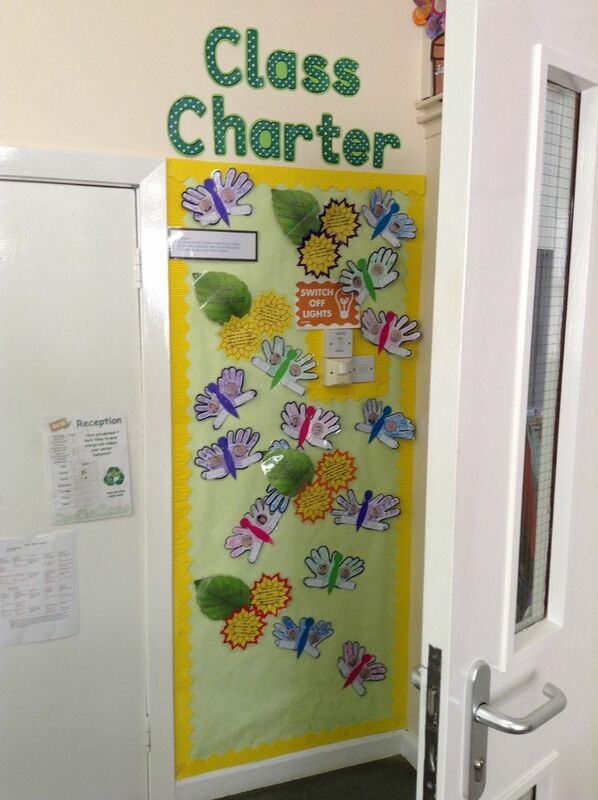 The children and staff can recognise, and then link everything they do to how it relates to the rights of the child. In addition, all our displays are linked to articles too. See if you can spot them when you visit! Adults should know about these rights and help you to learn about them too. Pupil voice is highly valued in St Norbert’s, and we have a range of child led teams to ensure the children of our school are given opportunities to express their opinions and ideas, for example about movie nights, fundraising, and ideas that make a difference to the school, such as the school Trim Trail. We have a democratically elected School Council, Eco-School Monitors, Digital Leaders and E-Safety Monitors, Young Play and Sports Leaders, and a Chaplaincy Team who all work alongside adults to bring the best to our school.